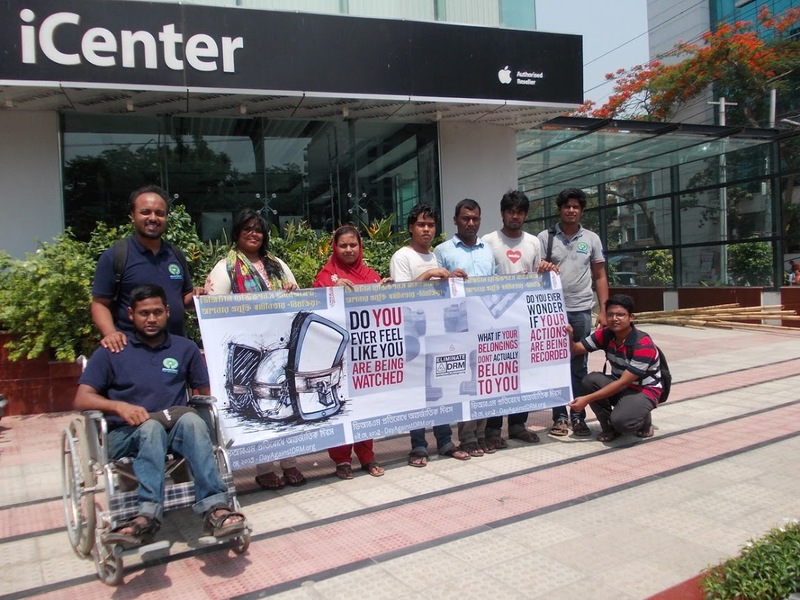 Activists in Bangladesh on the 2015 International Day Against DRM. Can you give us a strong foundation for 2016 by becoming an associate member of our parent organization, the Free Software Foundation? In addition to supporting Defective by Design, you'll join a historic movement for digital freedom and empowerment, and share a host of benefits with an international community of members. Brought together a chorus of voices in the biggest ever International Day Against DRM, including actions in more than ten countries and guest posts from a librarian, two blind anti-DRM activists, a scholar, and leader in the Wikipedia project. Highlighted the DRM industry's undue influence on the US government through our ongoing DRM Drones campaign. Lent our radical voice to one of the highest profile DRM-related events in the world -- the triennial Digital Millennium Copyright Act (DMCA) exemption process. We stood out from the pack by supporting not just some, but all of the proposed exemptions, driving home the point that the very process of granting exemptions is ill-founded, and all DRM must end. Linked arms with environmentalists, economic justice activists, and others to fight the Trans-Pacific Partnership trade agreement, making sure that its disastrous DRM clauses were part of the conversation (this work is hosted on the FSF's site but pertains directly to DRM). What's next? 2016 will likely see the final showdown in a battle we've been waging for years — keeping DRM extensions from becoming an officially blessed part of the Web. Insiders at the World Wide Web Consortium tell us that the unacceptable proposal will soon reach the floor, and we are ready to meet it there. Our movement has energy and passion, but reliable, consistent financial support will help us mobilize to win victories against the well-moneyed purveyors of DRM in 2016. The FSF aims to raise $450,000 by the end of January to make that happen. Please, lift us towards this goal: become an associate member of the Free Software Foundation. We need only $10 a month, and $5 for students -- much less than people give each month to companies that support DRM. If you can't do a sustained membership right now, a one-time donation of $25 or whatever you can afford will still make a difference. There are ways to support the campaign beyond helping us financially -- try to have one conversation this holiday season about DRM, with someone who comes to it from a different perspective. See what you can learn, and think together about how to apply it. That's exactly the opposite of what the DRM giants want you to be doing, and it's what this campaign is all about.